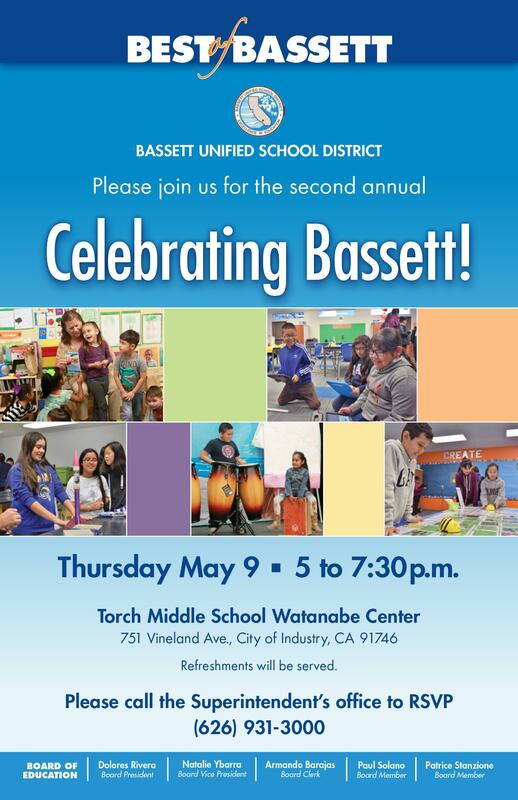 Bassett Unified to Host Celebrating Bassett showcase! Bassett Unified School District will host the second annual Celebrating Bassett showcase, highlighting 2018-2019 student achievement, programs, enrichment opportunities, dual enrollment, the District’s recently launched Digital Learning Initiative and so much more! The event will be held at 5 p.m. Thursday, May 9 at Torch Middle School’s Watanabe Center 751 Vineland Ave., City of Industry.